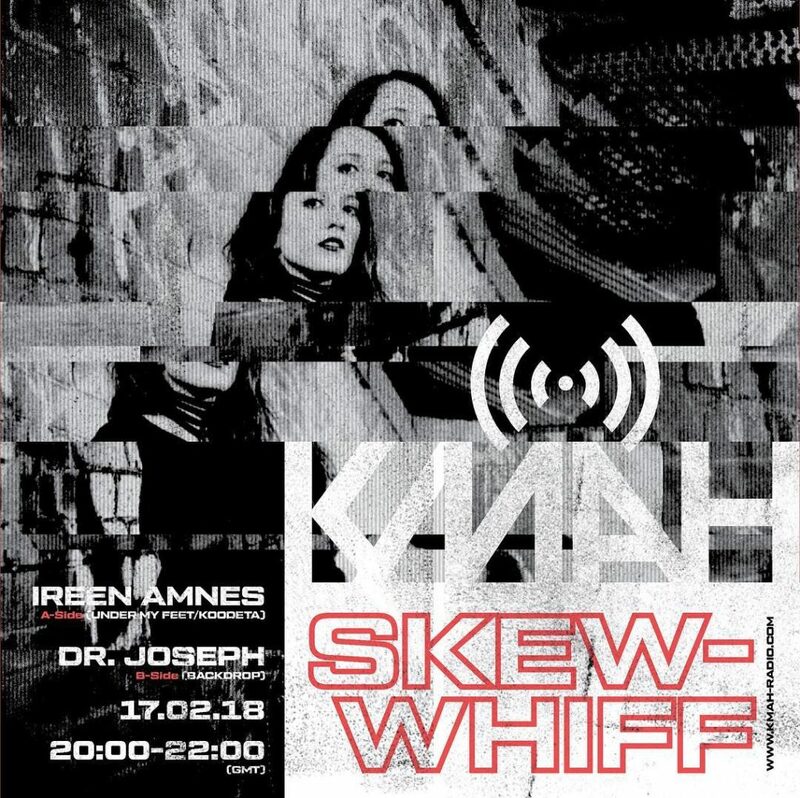 Skew-Whiff with Ireen Amnes & myself on KMAH Radio is now available for download. Turbulent, distorted & utterly hectic vibrations, expertly selected and deftly mixed by London’s rising techno star. Ireen takes the reigns for the first hour, kicking off with her own exceptional record ‘Protest Against a War of Denial” before plummeting into darker shades of techno, indsutrial and beyond. I do my best to stay on board the trip down the gutter for the second hour, adding further lashings of noisy techno, looming breaks & raucous electro. Track-list for the first hour from Ireen is included, mine is to follow. Many thanks to Ireen Amnes for her incredible contribution. I am really proud to be hosting this mix from an inspiring techno force.